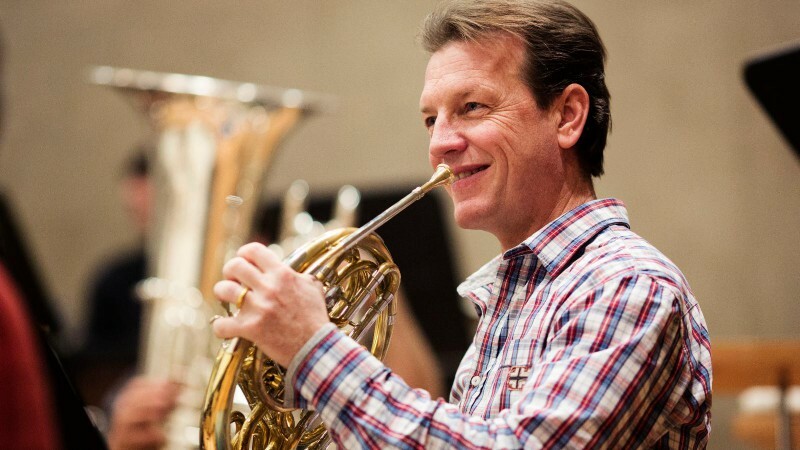 Hornist Norbert Dausacker was born in 1965 in Saarbrücken and studied with Prof. Martin Oheim at the Saarbrücken Music Academy and later with Prof. Erich Penzel at the Cologne Music Academy. In 1986 he became a member of the German Federal Youth Orchestra and the Youth Symphony Orchestra of the European Community. In 1986 he was also engaged by the Symphonieorchester des Bayerischen Rundfunks. Norbert Dausacker performs with a number of chamber music ensembles, including the German Wind Soloists, the Linos Ensemble, the Radio Bavaria Wind Soloists and the Munich Wind Soloists. Since 1993 he has been a member of the Bayreuth Festival Orchestra.